Thinking of purchasing a home or refinancing your present home? Locally processed and underwritten, and payments can be made at your local branch. Contact our loan department for current rates. Purchasing your first new home but have no idea where to start? Begin with us and our First Time Home Buyers Program. We’ll provide you with the certified education that will help you understand the process along with a $250 closing cost discount. Whether you’re purchasing a home for the first time, or just refinancing your current home, the entire process can be a bit overwhelming. 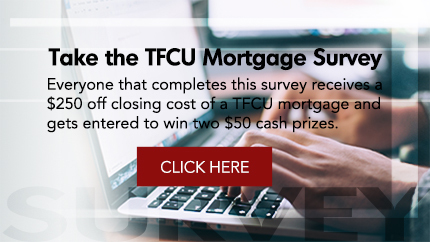 That’s why we’ve put together this free resource in hopes that it will alleviate the stress of your home purchase by providing valuable information and checklists that will better prepare you before you sign on the dotted line. You know the old saying, “knowledge is power.” The Family Credit Union hopes the knowledge that is shared in this free resource will better prepare you for the purchase of your home, allowing you to free your mind and concentrate on the important things, like what color you’re going to paint the living room when you move in, or what type of flowers will look perfect in the planter out front. If you have any questions as you begin the process, please contact us. 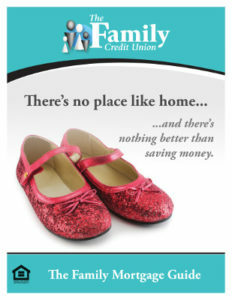 We hope you choose The Family Credit Union as your mortgage lender. We’re glad to help answer your questions. A perfect option even if you don’t quite have the equity in your home. Debt protection coverage provides a valuable safety net by making loan payments in the event of disability or death of a covered member. For your convenience, your premium is included in your loan payments so there’s no extra payment to make (not available on first mortgages). All loans are subject to approval. Rates, terms, and conditions are subject to change without notice and may vary based on creditworthiness, qualifications, and collateral conditions. *Annual Percentage Rate (APR) is accurate as of 5/1/16 and programs, rates, terms and conditions are subject to change without notice. The rate may vary depending on each individual’s credit history and underwriting factors. Borrow up to 100% of tax assessed value with approved credit. Does not apply to refinancing existing TFCU loans. A sample Fixed Home Equity Loan payment based on $20,000 at 2.99% APR for 5 years is $359.28 per month. 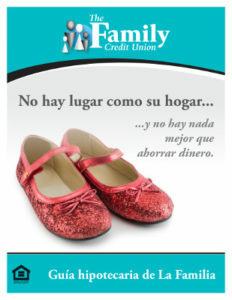 TFCU is federally insured by NCUA and an Equal Housing Lender.